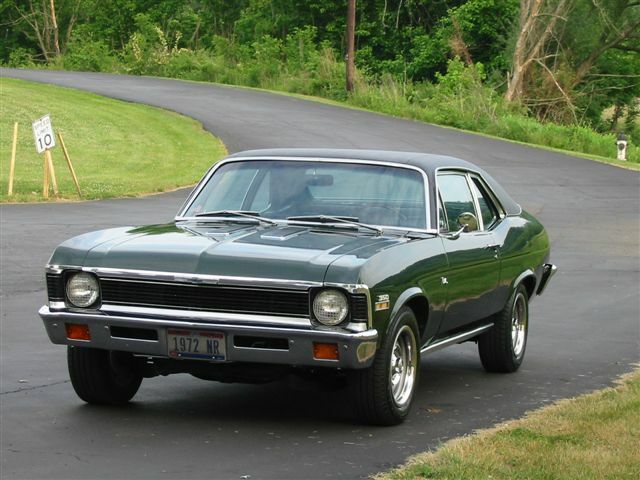 This is Neal’s 1972 Nova from Athens, Ohio. 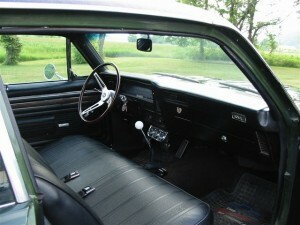 The Nova originally was a 307, 350 THM, 2:73 with power steering and air conditioning when new. 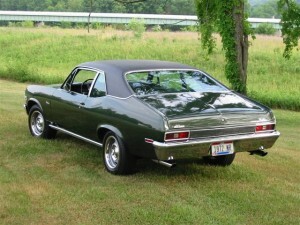 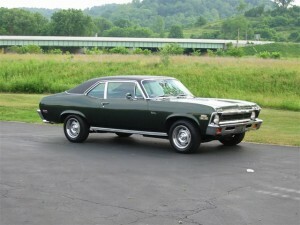 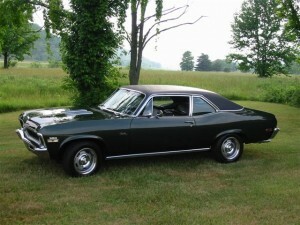 Neal’s Nova is still the original color: Sequoia Green. 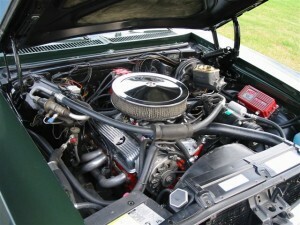 Neal has since installed a 1978 350 with 4 bolt mains and 1972 1.94 heads. 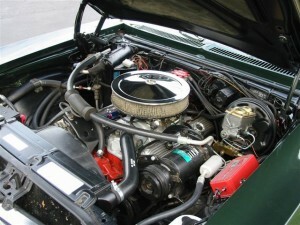 He also installed an Edelbrock Performer intake along with a 600 cfm carburetor, a MSD ignition, Flowmaster 40 series exhaust and coated headers by Hedman in his 1972 Nova. 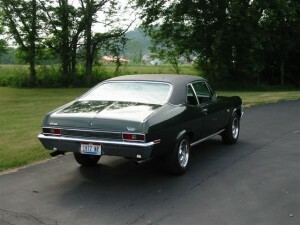 Neal doesn’t just keep this car in the garage; he enjoys it, having driven it in 10 states so far. 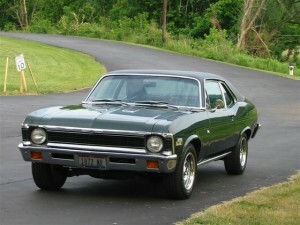 Neal has even taking this 1972 Nova on a 1,000 road trip through Canada before returning to Ohio!